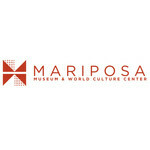 Tibetan Monks to the Mariposa Museum by Journeys In Education, Inc.
Journeys In Education, Inc. hasn't added a story. Please help the Mariposa Museum bring the Tibetan Monks back to Peterborough, NH this April! Our goal is to raise $4,000 of the $5,000 touring fee and 100% of the proceeds goes to support the Drepung Gomang Monastery's Sacred Art Tour preserving and sharing Tibetan culture and its work to educate and house young monks in northern India's Drepung Gomang Monastery. The monks will be at the Mariposa April 12-17th, 2016. During the week they will create a peace sand mandala while sharing their ancient beliefs and prayers for global peace, compassion, and nonviolent conflict resolution. Please help make their visit possible! Thanks to Waterhouse Restaurant; Peterborough, NH for leading the giving! Journeys In Education, Inc. hasn't posted any updates yet. Journeys In Education, Inc. is managing the funds for this campaign. Journeys In Education, Inc. is a verified organization.